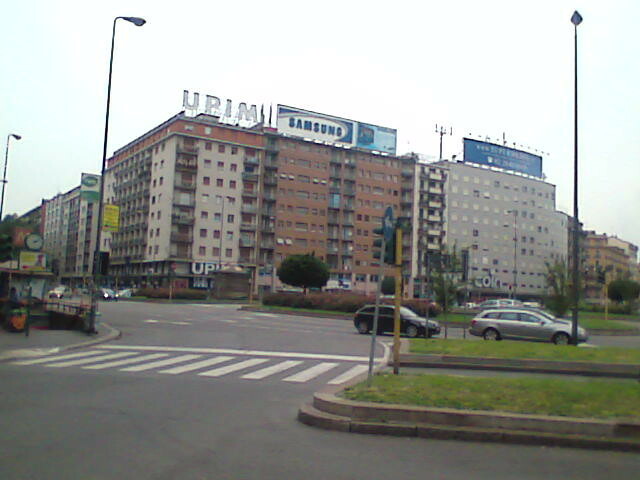 The department store of Upim at Piazzale Loreto features in many photographs and film footage of the hanging upside down on 29 April 1945 of Benito Mussolini, Clara Petacci and 15 senior Fascist officials of the R.S.I. (Italian Social Republic) from the roof of an Esso petrol station which has since been demolished. Mussolini and Petacci had been executed the day before at Giulino di Mezzegra (CO) near the Swiss border, and subsequently transported to this square, a distance of almost 100 km! Why? Well, the resistance movement hadn’t forgotten that 15 Italian men (the same number!) had been executed on this same square a little longer than eight months earlier on 10 August 1944 by Fascist militiamen of the R.S.I. (Italian Social Republic) who took directions from the German SS. What was Mussolini doing near the Swiss border? He tried to escape to Switzerland and from there fly to General Franco’s Spain. The retreating Germans, under orders from Berlin to take him back to the crumbling Reich with them, wouldn’t let him, but let him fall into the hands of the partisans eventually, to ensure their own safe passage home. It would have been interesting to have seen Mussolini tried by a court of the Allied Forces. But the Italian communists wanted to stamp their own mark on post-war Italy and basically tried to hijack the liberation from the Allies whose soldiers had bled to death by the thousands on Italian soil for Italy’s freedom. Communists were and are never very good at an independent judicial system. So the communist partisans simply shot Mussolini and his most loyal cronies without a semblance of a trial, very much in the vain of their top role model: Joseph Stalin. However, postwar history has shown that the Italian people have been spared the trade-in of one totalitarian regime by another. Image published by ✿ willem ツ on 2008-07-01 19:47:21 and used under Creative Commons license.